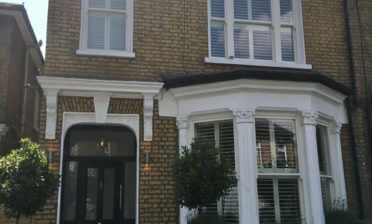 Daniel was in West Malling to install some shutters for a client in West Malling Kent. They were fitted to a bay window in the living room for a customer who was looking for the best possible window dressing and a match to their existing decor. 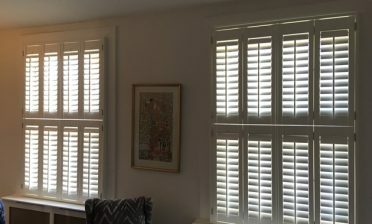 As you can see the shutters add a great layer of privacy when needed and also highly adjustable panels at the top and bottom. 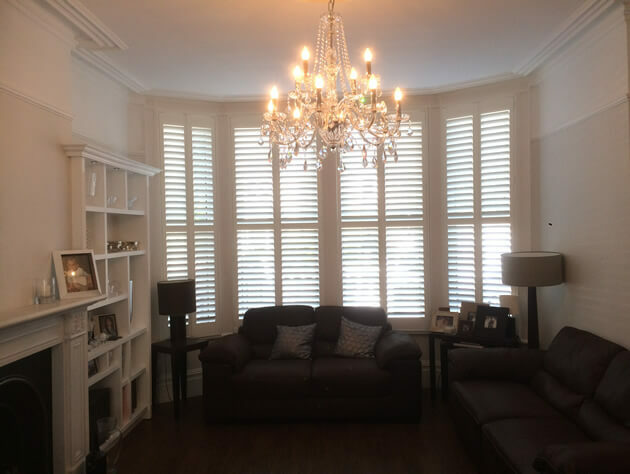 When our shutters are fitted to bay windows they really do provide great levels of adjustment from every angle so that you can get the light in the room just perfect. 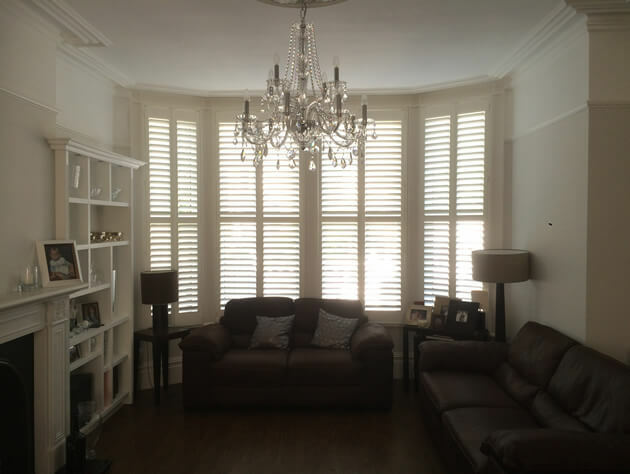 The shutters were created from our Cuba Range which are very durable and rigid for windows of this size. They were designed in a full height style with a mid-rail for better adjustment and to help strengthen the high panels. 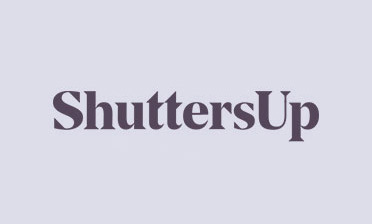 We used 64mm louvres with a hidden tilt rod system which allows for adjustment throughout the shutters through touch, without the need of visible rods. They were then finished in Pure white with matching hinges, which works really well with the style of the room.